The most common types of mental disorders experienced by young men are depression and anxiety. These issues affect one in seven young men between the ages of 16 and 24 every year. Teenage and college age men often don’t get the help they need because their symptoms of depression are ignored or written off as growing pains. It is important to learn to recognize depression symptoms in young people, particularly men because they may have more trouble expressing their emotions to others. For young men, their problems with depression can affect their performance in school or at work, their physical health, their ability to maintain friendships and their need to use alcohol and drugs to self-medicate. Getting early diagnosis and treatment can help prevent depression from becoming a greater problem as young men begin to enter later adulthood. With issues like depression, men and women tend to be affected differently when confronted with symptoms. Men may find certain unhealthy coping mechanisms that help to mask their depression and keep it hidden from others. Although the symptoms of depression among men and women are often the same – feelings of sadness or hopelessness, difficulty sleeping and lack of pleasure- their way of dealing with the symptoms can be very distinct. Men tend to engage in escapist behavior such as working all the time or spending a lot of time on hobbies like sports or exercising excessively. They may express their depression through controlling, violent or abusive behavior or simply with irritability and inappropriate anger. Men may feel that they cannot express feelings of sadness and try to downplay their symptoms by ignoring or suppressing their depression. Unfortunately many men may also be reluctant to discuss their mental health or resist getting treatment because they worry about the stigma associated with depression. Young men in particular may cope with their depression through dangerous methods like self-harm, drug or alcohol abuse or controlled eating. There has been a recent rise in the number of young men engaging in self-harm because they are dealing with symptoms of depression without professional help. 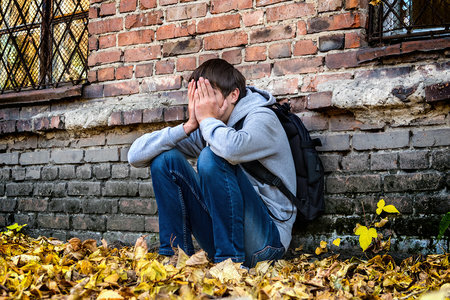 Teenage and college age men often struggle with issues of self-esteem but may be unable to talk to anyone about their feelings.If you notice any of the symptoms of depression in yourself or others including coping behavior like working long hours, excessive exercise, self-harm, or substance then consider looking into treatment options. Getting help from a professional therapist can minimize harmful coping methods and improve the mental health of young men with depression.